With the advances in cancer and molecular biology and the rapid progress in genomics, significant progress has been made in the treatment of lung cancer in the past decade. Targeted therapies have been developed for nonsmall cell lung cancer (NSCLC), and significant improvement in survival has been achieved. There is still, however, no cure for advanced NSCLC. Resistance to initial therapy is universal, and the lethal outcome of metastatic disease still remains. Approaches to preventing metastases and overcoming resistance to therapy are necessary to ensure long-term survival of patients with advanced lung cancer. Supported by a Conquer Cancer Foundation Drug Development Research Professorship (AAA). http://www.cancer.gov/cancertopics/types/lung. Accessed Jan 22 2015.
http://www.cancer.gov/cancertopics/druginfo/fda-erlotinib-hydrochloride (2013). Accessed Jan 21 2015.
http://www.fda.gov/Drugs/InformationOnDrugs/ApprovedDrugs/ucm360574.htm (2013). Accessed Jan 21 2015.
http://www.cancer.gov/cancertopics/druginfo/fda-crizotinib (2013). Accessed Jan 21 2015.
http://www.fda.gov/NewsEvents/Newsroom/PressAnnouncements/ucm395299.htm (2014) Accessed Jan 25, 2015.
http://www.cancer.gov/cancertopics/druginfo/fda-bevacizumab - Anchor-NSCLC (2014). Accessed Jan 21 2015.
http://www.fda.gov/Drugs/InformationOnDrugs/ApprovedDrugs/ucm426735.htm (2014). Accessed Jan 22 2015.
https://clinicaltrials.gov/ct2/results?term=Rociletinib&Search=Search. Accessed Jan 25, 2015.
https://clinicaltrials.gov/ct2/show/NCT02094261?term=AZD9291&rank=15 (2015). Accessed Jan 25, 2015.
https://clinicaltrials.gov/ct2/show/NCT02296125 (2015). Accessed Jan 25, 2015.
https://clinicaltrials.gov/ct2/show/NCT02151981?term=AZD9291&rank=12 (2015). Accessed Jan 25, 2015.
https://clinicaltrials.gov/ct2/show/NCT02143466 (2015). Accessed Feb 10 2015. Sakagami, H., Konagai, S., Yamamoto, H., Tanaka, H., Matsuya, T., Mori, M., et al. (2014). ASP8273, a novel mutant-selective irreversible EGFR inhibitor, inhibits growth of non-small cell lung cancer (NSCLC) cells with EGFR activating and T790M resistance mutations. Cancer Research, 74(19 s), 1728. doi: 10.1158/1538-7445.AM2014-1728. Murakami, H., Nokihara, H., Shimizu, T., Seto, T., Keating, A., Krivoshik, A. et al. (2014). Antitumor activity ofASP8273, an irreversible mutant selective EGFR-TKI, in NSCLC patients with tumors harboring EGFR activating mutations and T790M resistance mutation. 26th, European Journal of Cancer, 50(s 6), 168. doi: 10.1016/S0959-8049(14)70730-0.
https://clinicaltrials.gov/ct2/show/NCT02192697?term=ASP8273&rank=1 (2015). Accessed Jan 25, 2015. Lee, K. O., Cha, M. Y., Kim, M., Song, J. Y., Lee, J. H., Kim, Y. H., et al. (2014). Discovery of HM61713 as anorally available and mutant EGFR selective inhibitor. Cancer Research, 74(19 s):Abstract nr LB-100. doi: 10.1158/1538-7445.AM2014-LB-100. https://clinicaltrials.gov/ct2/show/NCT02075840?term=Alectinib&rank=3 Accessed Jan 25, 2015. Zhang, S., Wang, F., Keats, J., Ning, Y., Wardwell, S. D., Moran, L., et al. (2010). AP26113, a potent ALKinhibitor, overcomes mutations in EML4-ALK that confer resistance to PF-02341066. Cancer Res, 70(8s):Abstract nr LB-298. doi: 10.1158/1538-7445.AM10-LB-298. http://investor.ariad.com/phoenix.zhtml?c=118422&p=irol-newsArticle&id=1973346 Accessed Jan 25, 2015.
https://clinicaltrials.gov/ct2/show/NCT02094573?term=AP26113&rank=1 Accessed Jan 25, 2015.
http://www.fda.gov/NewsEvents/Newsroom/PressAnnouncements/ucm427716.htm. Accessed Jan 25, 2015.
http://meetinglibrary.asco.org/content/93154?format=posterImg. Accessed Jan 25, 2015.
https://clinicaltrials.gov/ct2/results?term=nivolumab++nsclc&Search=Search. Accessed Feb 10, 2015.
http://www.fda.gov/Drugs/InformationOnDrugs/ApprovedDrugs/ucm412861.htm. Accessed Feb 10, 2015. Garon, E. B., Gandhi, L., Rizvi, N., Hui, R., Balmanoukian, A. S., Patnaik, A. et al. (2014). 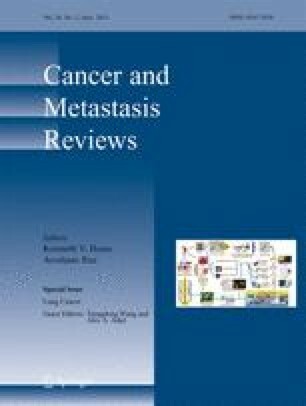 Antitumor activity ofpembrolizumab (Pembro; MK-3475) and correlation with programmed death ligand 1 (PD-L1) expression in a pooled analysis of patients (pts) with advanced non-small cell lung carcinoma (NSCLC). Annals of Oncology, 25(5):1-41. doi: 10.1093/annonc/mdu438. http://www.esmo.org/Conferences/ESMO-2014-Congress/News-Articles/Pembrolizumab-Shows-Promise-in-Several-Solid-Tumours. Accessed Jan 25, 2015.
https://clinicaltrials.gov/ct2/results?term=&recr=&rslt=&type=&cond=nsclc&intr=Pembrolizumab&titles=&outc=&spons=&lead=&id=&state1=&cntry1=&state2=&cntry2=&state3=&cntry3=&locn=&gndr=&rcv_s=&rcv_e=&lup_s=&lup_e=. Accessed Jan 25, 2015.
https://clinicaltrials.gov/ct2/results?term=MPDL3280A+nsclc&Search=Search. Accessed Jan 25, 2015.
https://clinicaltrials.gov/ct2/results?term=MEDI4736+nsclc&Search=Search. Accessed Jan 25, 2015.
http://www.fda.gov/NewsEvents/Newsroom/PressAnnouncements/ucm1193237.htm. Accessed Jan 25, 2015.
https://clinicaltrials.gov/ct2/show/NCT02279732?term=IPILIMUMAB+nsclc&rank=6. Accessed Jan 25, 2015.
https://clinicaltrials.gov/ct2/results?term=IPILIMUMAB+nsclc&Search=Search. Accessed Jan 25, 2015.
https://clinicaltrials.gov/ct2/results?term=Tremelimumab+nsclc&Search=Search. Accessed Jan 25, 2015.